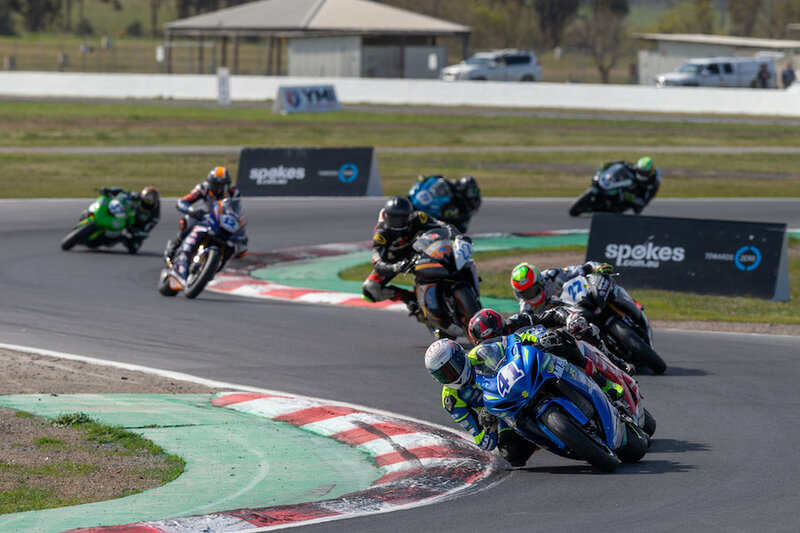 Cru Halliday (Yamaha Factory Racing, Yamaha YZF-R6) has taken out the 2018 Kawasaki Supersport Championship here at the Spokes.com.au presents Round 6 at Winton Motor Raceway. 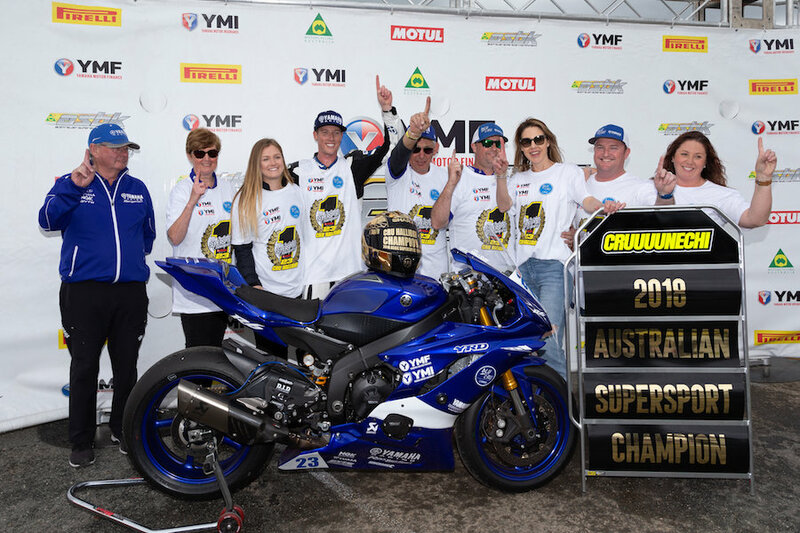 Halliday also collected the overall round win with a second in race one and a win in race two, to wrap it up the title at the penultimate round of the Yamaha Motor Finance Australian Superbike Championship presented by Motul Pirelli (ASBK). Halliday was speechless and relieved to take out the title here at Winton; “The pressure was on and I brought the new helmet here, so I had to wrap it up. That last lap on the track, I’ve never been so cautious going around a track on a motorcycle! I can’t wait to go out and celebrate this with the team, such a relief and thank god its over,” said the 2018 Kawasaki Supersport Champion Halliday. Max Croker (Mat Mladin Racing, Suzuki GSX-R) took out second overall here at Winton after picking up his first Kawasaki Supersport race win in race one and then third in race two. Tom Toparis (Cube Racing, Kawasaki ZX-6R) had an up and down weekend here at Winton, but he definitely will leave knowing he gave it everything he had, collecting third overall. The feel-good story of the weekend was definitely the return to the class of Nic Liminton (Yamaha, YZF-R6) who collected fourth overall for the round. The first Kawasaki Supersport race was action packed right from the first turn with both Halliday and Tom Toparis (Cube Racing, Kawasaki ZX-6R) running off the track, and that left Croker to nip up the inside and take lead. From the first corner Croker took off and put his head down and put a good gap on the field, cruising to his first Kawasaki Supersport victory by just over two seconds. Croker was thrilled with the win; “Absolutely stoked to take the win after a crash in qualifying yesterday and starting from sixth on the grid, a massive thanks to my team for getting the bike together and it was working well throughout the race. Hopefully we can back it up in the next race again,” finished Croker. 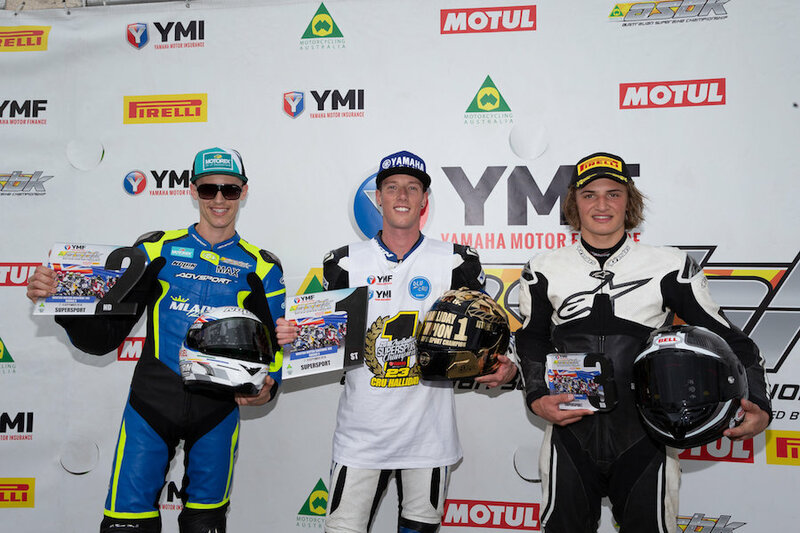 The win broke Halliday’s winning streak but the Yamaha rider came from 14th after the first corner to fight his way through the field and grab second position, gaining valuable points toward his championship aspirations. A welcome return to ASBK and a podium in his first race back, Nic Liminton (Yamaha YZF-R6) showed he has what it takes to be competitive in the Supersport class after his seamless return here at Winton. Just missing the podium was New Zealand rider Damon Rees (Carl Cox M-Sports, Honda CBR RR) who had a good battle with Liminton throughout race one, but just could quite make the move to grab the last spot on the podium, settling for fourth. 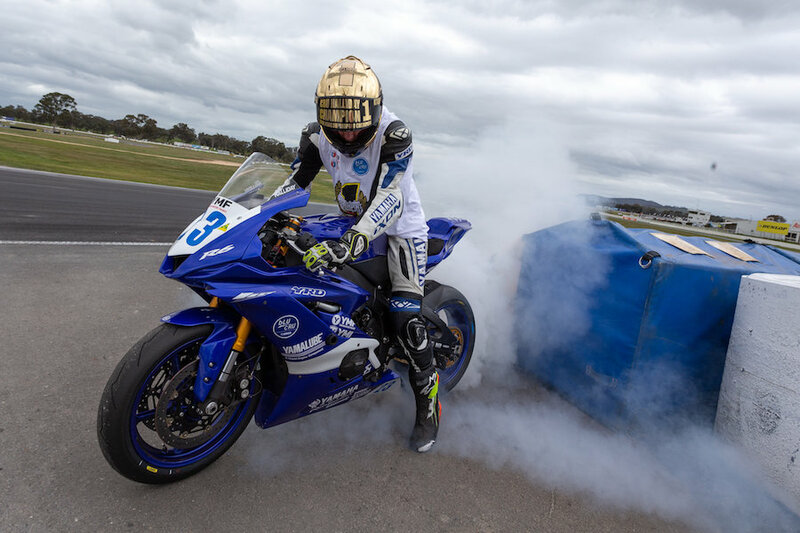 Rounding out the top five and gaining momentum in his return to the paddock was Broc Pearson (Yamaha Aust, Yamaha YZF-R3) who continues to make progress after returning from injury. In sixth position was Toparis, who started the race in second position, but he went in way to hot to the first turn and ran wide and slipped down to 13th. Toparis made his way back through the pack and collected sixth position. Race two was a clinical display from Halliday as he took the win after leading the race basically from start to finish. On the first lap Toparis made a move to take the lead from Halliday, but it didn’t take long for Halliday to take back the lead and put a gap between himself and the Kawasaki rider. Toparis was a man on a mission and was desperate to take out race two, pushing his bike to the limits and putting his breaks under serious pressure. Toparis was going into corners sideways and was riding on the edge, but just couldn’t keep with Halliday at the front. Race one winner Croker was in the mix early in the race but after lap five, the pace was a bit to quick up the front for Croker to hang on. Settling for third position in what was a great round for the Suzuki rider. Liminton showed no signs of his absence from the Kawasaki Supersport class, grabbing fourth to back up his third from race one, a great showing and look for him to continue this form at Phillip Island for round seven. Rounding out the top five for the second time this weekend here at Winton was Pearson, his pair of fifth place finishes will give him great confidence in his return. Sadly, for Rees, he was in the battle for fourth with Liminton but on lap ten he went to try and make a move up on the inside of Liminton, but he pushed the front end just a bit too much and ended up putting the bike down. The Kawasaki Supersport class will be back in action for the final round of the 2018 season at Phillip Island Grand Prix Circuit on October 12-14.